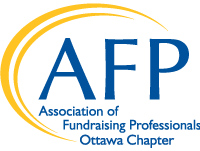 AFP Ottawa Chapter Board Nominations for 2019-2020 are now open. Click application form here. Nominations are due by April 19th. Please contact Teresa Marques if you have questions: president@afpottawa.ca.